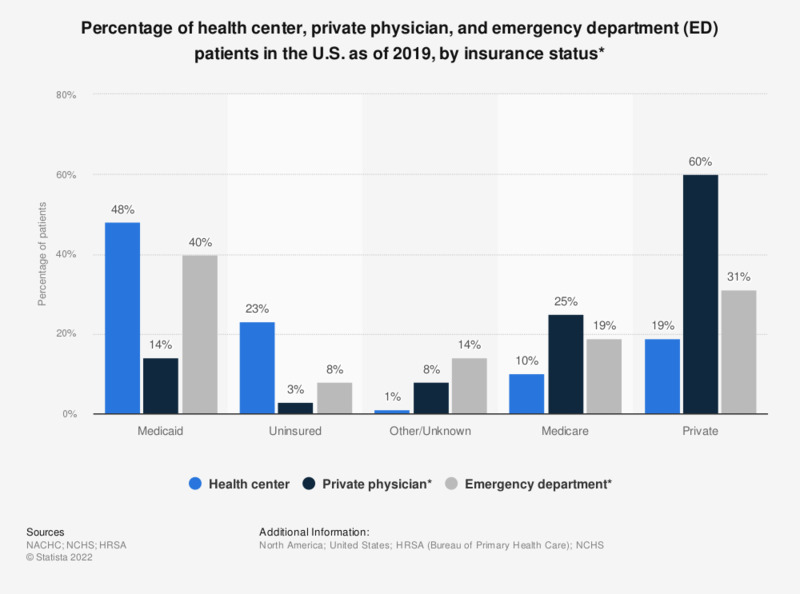 This statistic depicts a comparison of health center, private physician, and emergency department (ED) patients in the U.S. as of 2016, by insurance status. Some 23 percent of health center patients were uninsured, whereas the percentage of uninsured was significantly lower at private physicians and emergency departments. * Private physician and emergency department numbers allow for more than one category to be indicated. Percentages may not add up to exactly 100% because of rounding.